Will you have forgotten me? Our first kiss was a surprise, not in the script or rehearsals. You’d planned it without knowing how I would’ve reacted. Your move wasn’t blocked, your instincts were right. A perfect, if tense, moment. We didn’t know then, that I would’ve stayed with you forever. After you’d left, I expected to find someone else, or that someone else would’ve found me. Decades later, my spontaneous phonecall bought four hours of laughter. Briefly, centre stage again before returning to my place in the wings. My future will have been littered with walk-on parts, as an optional-extra. This sofa with design and print chosen by a person I lived with in 1994. He wouldn’t take it when he left. He dumped me with the sofa-print from hell. It’s fabulously comfortable and works perfectly well as a Sofa if you shield your eyes or use a throw. Hence the sofa and I spending 13 years together despite the ‘looks’ issue. But. Craigslist put an end to the relationship. Hoorah. Furniture Freedom! 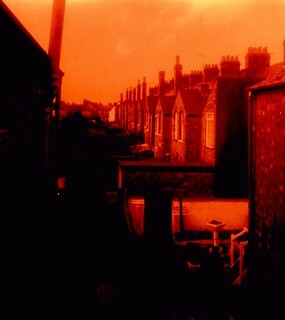 The sunrise thrust an orange glow through the undressed window onto the freshly painted brilliant white bedroom walls. A small, sparsely decorated, warm, dry first new home. The bedroom empty, save a matress upon which is scattered a duvet, pillows, sleepy him and I. After unpublishable morning exercise two large mugs of tea joined us in the bedroom.